This seat come in handy when it and about. I no longer have to line seats with toilet paper. Easy to carry as it is foldable. This seat is good for travel because it’s compact but not ideal for everyday use. My daughter likes the color and character on the seat! I purchased this about a month ago and it’s just perfect. My daughter love it a lot because she cans do poops 💩 in the big restroom. It’s very convenient and easy to use and install. 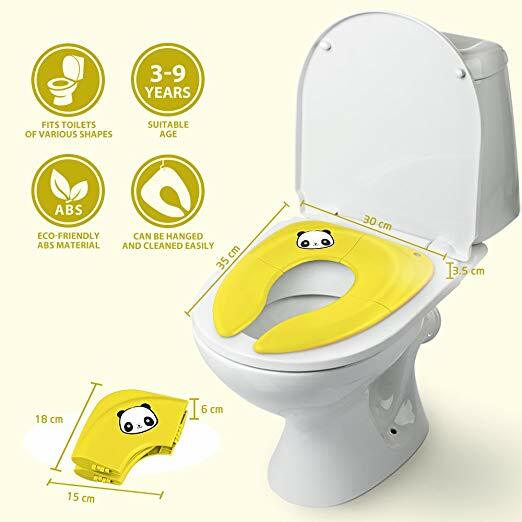 as a light portable travel potty seat, it does OK. On some toilets, it can slip a bit and ruin confidence, but it packs away really small, can't fault it too much. 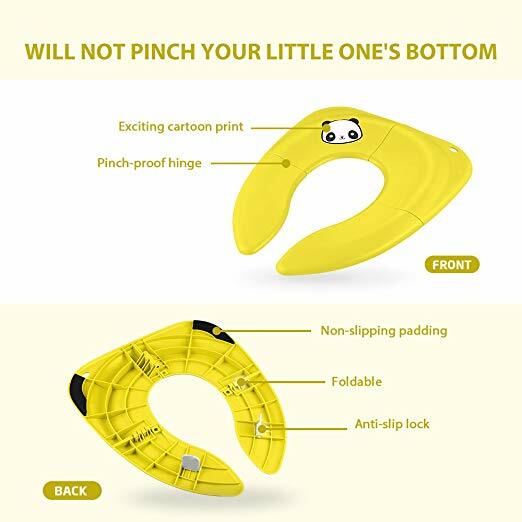 This is a good travel potty seat cover for toddlers. It's compact and light weight. It is easy to carry around in my diaper bag. Decent product. Works as intended with little to no issues. I purchased for my grandson. He is not potty-trained yet, but when mentioning going, he heads to the big potty rather than his own. This will be perfect for him to get used to at home and on the go! 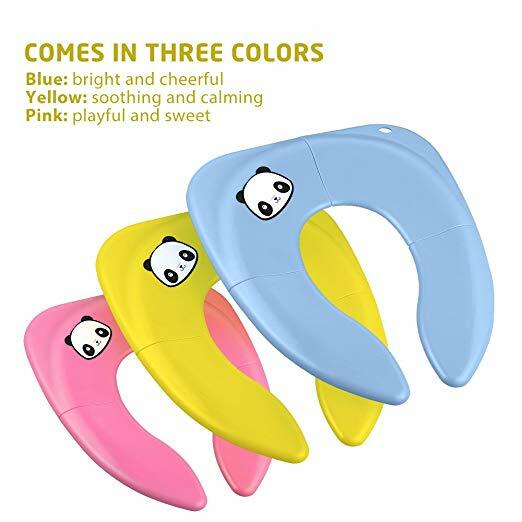 I got this one for my daughter and was surprised with the product quality. The seat is really durable and easy to be folded and unfolded. The bag that comes with the seat is very nice as well. Small and compact so we have no trouble bringing it around in our diaper bag when we are on the go. Works fine on standard size toilets. Just received the product and I like it a lot. The design makes it convenient to take with you while running errands without having to worry about storage space. This will make life easy in the future! Easy to pack when traveling. I just got it today. My daughter loved the color. No more hassle with large toilet seat. Love this seat!! I worked too hard to potty train my 2 yr old to have it all come undone the second she has to use a public restroom. She was petrified to sit on her little Elmo seat, since it wobbled so much. It was also just plain ridiculous to carry in a Target bag everywhere we went.